This real-time game model was created for an AR app still in development. 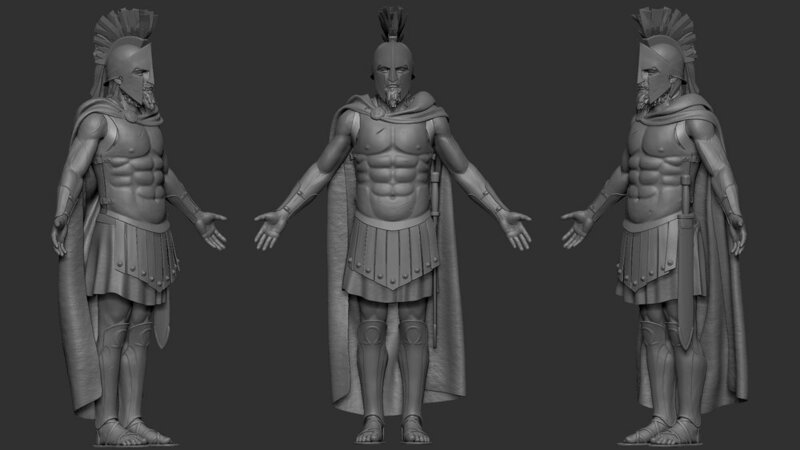 Tasked with creating a powerful Spartan, we went on a journey of ancient discovery to learn all there is about the Spartans and ancient Greek military. This rugged, sweaty, and bloodied Spartan will be seen on a mobile app in the App Store and Google Play. Two versions of the helmet were made to portray the original Corinthian Helmet and the stylized Hollywood version in the movie 300.